ADT Pulse is now available to business owners and will become the new standard for business security systems. The biggest advantage of ADT Pulse business security systems is that you can remotely control your security system and receive alarm and event notifications via a text or email. ADT Pulse business security puts the protection of your business in the palm of your hand. With a web enable mobile device, you can remotely see the status of your security system and ARM/DISARM from virtually anywhere. Remote Interactive Services with ADT Pulse for businesses allow remote access, remote arm/disarm, email and/or text notifications of emergency alarms, scheduling, alerts and event history from any computer or Internet enabled mobile device. ADT Pulse iPhone or Android Apps are also available. With ADT Pulse Remote Interactive Services you have the ability to find out if your ADT Pulse security system is armed or disarmed remotely. No more wondering if you employees forgot to arm the security system when they left. Just use your web enable phone and check your business security system status. Not armed... no problem, you can remotely arm it from your phone. Want to know that your business is open on time... get notified when your security system is disarmed. With ADT Pulse Interactive Services you decide what you what to be notified of. Be notified by text or email of alarm events, when your security system is armed and disarmed, when some opens a door to a storage area with high priced items after hours or enters your office when you are not there. You decide. ADT Pulse Business Security gives you the ability to upgrade to BusinessView. BusinessView allows you to remotely view your business from web enabled mobile devices or a computer with Internet connection. 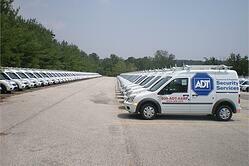 You can add up to 10 ADT Pulse Cameras with your ADT Pulse business security system. Secure real time video monitoring gives you an ability to see what is happening at your business from just about anywhere. Alarm going off, check to see if it's a false alarm before driving in to your business or having the police show up to a false alarm. Want to make sure employees are working hard while your on vacation, check in to see. Also get 30 second video clips of alarm events, whenever someone arms or disarms your security system or when someone enters the storage supply room. You control what you want video clips of and at what times during the week. With the combination of ADT Pulse Remote Interactive Services and ADT BusinessView you get an incredible business security system at a very affordable price. To find out more about ADT Pulse for business security schedule a free business security review. For more details call 1-800-310-9490.